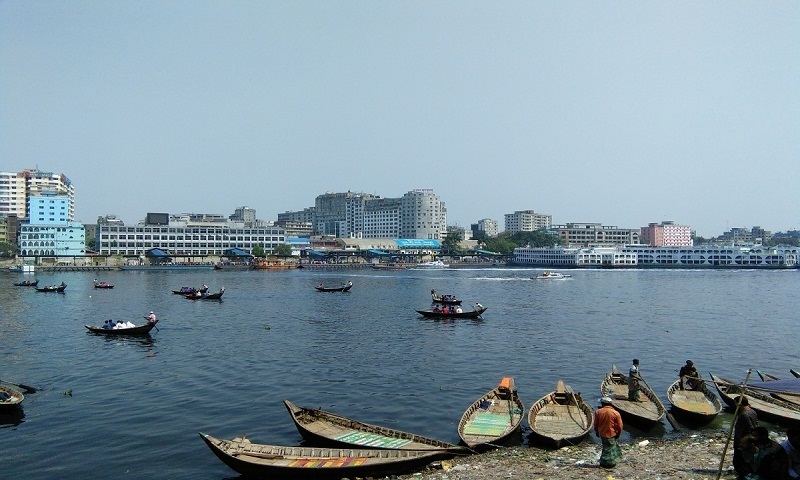 The body of a woman, who went missing along with five other members of her family following a boat capsize in the Buriganga River in the city’s Sadarghat area on Thursday, was recovered from the river near Mill Barrack Police Lines area here on Friday. The deceased was identified as Jamshida, 20 of Sakhipur in Shariatpur district. The members of Navy recovered the body from the spot around 12:30 pm, said Abdur Razzak, officer-in-charge of river police. Earlier on Thursday , six members of a family went missing when a boat sank near the Sadarghat Launch Terminal around 10pm as the launch, ‘MV Suravi-7’ hit it, in the city’s Sadarghat area on Thursday night. Those who went missing were Shahida, 28, her two daughters -- Meem, 8, and Mahi 6, her niece Jamshida, 20, Jamshida’s husband Delwar, 35, and their three month old son Junayed. Shahida’s husband Shahjalal, 35, managed to swim ashore after the incident and got admitted to the Pangu Hospital as he lost his two legs during the accident, report UNB.